Unless you’ve been living in a cave these past few years there’s a very good chance that you’ll have heard all about the Government’s energy company funded boiler grant scheme. In a nutshell, if you’re on specific benefits and meet set criteria there’s a free boiler grant out there with your name on it. Well not literally, but you know what we mean. The scheme applies to non condensing gas boilers, or condensing boilers under 86% efficient. There are also grants available for home insulation, you can learn more about this at Free Insulation Grants. I am a ill person and disabled live alone. I own the property long time i living in now at the moment. I need help with the central heating boiler thats i looking a grant replacement boiler. And i am in low income. Thank you. Hi Marian, unfortunately we are currently unable to accept any applications for grants through BoilerGrants.co.uk however the scheme is still running and you should be able to apply through other companies to find out if you are eligible. I recommend getting in touch with the Energy Saving Trust as they may be able to advise you better and point you in the right direction. It has proved very difficult to get a grant for us living in Shetland. I’m sorry to hear this. There may actually be additional schemes and help in your area that would be worth looking into. The Energy Saving Trust has some information on this here: http://www.energysavingtrust.org.uk/scotland/grants-loans and your local council may also be able to help based on information they have on their website: https://www.shetland.gov.uk/housing/Insulationheatinganddraughtproofingassistance.asp and https://www.shetland.gov.uk/energy_advice/SICgrant.asp. Hopefully this helps! I’m on low income and live alone. I’m not on any benefit though. My boiler has been broken for several years and I can’t afford to fix it. Not sure when the boiler was installed. The flat was built around 1995. I tried to do the eligibility form which says I’m not eligible (because not on benefits) but why low income people who struggle without benefits aren’t eligible? Hi Setareh, I’m sorry to hear about your boiler situation. Unfortunately we wouldn’t be able to help you under the ECO scheme if you are not in receipt of benefits. I would suggest getting in touch with your local council or the Energy Saving Advice Service as they might be able to provide you with more information on any other help available. How do I see a list of eligible boiler makes? In order to qualify the boiler must be under a certain percentage of efficiency. Unfortunately I don’t have a list of eligible makes, but if you lets us know your boiler make & model, plus how old it is roughly, we should be able to look into this for you. Hopefully this helps! My dad is a homeowner and gets Pension Credit. My mum lives with him and gets PIP. Would my dad be eligible for a boiler grant? Hi Yusaku, it’s hard to say without knowing more information (i.e how old your boiler is) so I recommend filling in the form on this website as this should let you know if he might qualify (you can also fill this out on your Dad’s behalf). Would we be eligible to replace our boiler. It is a Worcester Bosch CD2 combination boiler. It is working but is 10 years old so may not be as efficient as it once was. My husband gets guaranteed pension credit. Hi Elizabeth, it sounds like you might qualify based on the age of your boiler and the type of pension your husband receives, but it’s hard to say for sure without a little more information. If you fill out the form on this website, this should give you a clear indication, and if it looks like you do qualify one of our team will get in touch if we can find you an ECO engineer. Hi I qualify for a new boiler but am hoping to move in a few months to a council property. Do you have to stay in the property the boiler is fitted for a certain length of time after it is fitted? Hi Liz, as far as I’m aware you just need to be living in the property during the process, but I would say it’s worth getting in touch with the Energy Saving Trust to double check this. I would like to apply on behalf of my brother who has Alzheimer’s and is on income related ESA and PIP. I am Power of Attorney for him. He owns his own home but has no central heating, only a fire. Would he be eligible for a boiler grant to put towards the cost of having central heating installed for him? Hi Joy, thank you for getting in touch. Unfortunately we would not be able to help you with this, but there may be help out there. There are a couple of routes to go down. Firstly I would try contacting your brother’s local council, as they may have information on grants for first time heating that he may be eligible for. Secondly the Energy Saving Trust may have some further information so it may be worth contacting them. Apologies that we can’t be of more help, hopefully this points you in the right direction. I have a tenant who receives housing benefit but nothing else. She is 73 lives alone. Her boiler is 10 yrs old. Can she get a new boiler on the scheme? Unfortunately we would not be able to help with an application due to the type of benefit she receives. I would recommend contacting the Energy Saving Advice Service (they can now only be found online, but their contact details are here http://www.energysavingtrust.org.uk/about-us/contact-us). It may also be worth contacting her local council as sometimes they may have access to other forms of help. Apologies that we can’t be more help in this instance. I should be entitled to the grant. My problem is my boiler has stopped working, so I need a new 1 asap. How does the grant work? I’d be applying through eon if that makes a difference? If I borrowed the money now and got a new boiler, would the grant then just come to me in money form so I can pay it back? (Of course I completely understand if I was unsuccessful I’d be eligible for the loan). Just wondering if it’s a money payment, or has to go to a certain company or they buy (Part of) the boiler? Hi, thanks for your comment. With the grants under this scheme unfortunately you would not be able to get it in a money form to pay off a new boiler you’ve had installed. The grant would go directly towards the new boiler installed by a certified installer (in this case through eon). Hopefully this helps to answer your question, please don’t hesitate to get in touch if you would like to know more. Mine was installed in 2013. It was installed wrongly. I company that installed it is now contactable. is there a governing body I can contact instead please? I’m currently receiving just income based JSA. I’m single and don’t have any dependants. My combi boiler is about 15 years old and the heating is working, but not hot water. Is there any help I could access at all? Hi Penny, it’s hard to say if you would qualify without a little more information, but from you’ve said there is a good possibility you could. I would suggest filling out the form on our website, and if it looks like you could qualify one of our team will get in touch to walk you through the application. Hopefully this helps, please don’t hesitate to get in touch with any questions. Hi, I think I qualify in terms of benefits etc however the type of heating was not actually available for me to select. The house is heated by a coal fire backburner and this heats the radiators around the house. I just wondered if this would qualify, many thanks. Hi Sharon, unfortunately I’m not too sure about coal fired backburners under this scheme. It’s not something that we could help you apply for but if you get in touch with the Energy Saving Advice Service they may be able to offer further advice on both the ECO scheme and any other help available and so may be able to give you a more definite answer. They can be contacted on 0300 123 1234 (calls are charged at the standard national rates) or found online. Hi there, I am moving into a house with an F grade energy efficiency rating. It has single glazing, electric storage heaters downstairs and no heating upstairs. I will be renting the property as a private tenant and receive housing benefit as I am a full time student. I live in Scotland. I was wondering whether I would be eligible for any help to improve the energy rating within the house? If so what? Is it likely that I would have to make a large contribution myself? Does it make a difference that I have two children living with me (aged 11 & 13)? And can my landlord ask me to move out once the improvements are done? I am aware I would need the landlords consent to apply but have read about people buying houses, renting them out to people on a low income to benefit from such schemes and then asking their tenants to move out so they can sell the property for a profit or move in themselves and reap the benefits of the new heating system. Sorry for so many questions. Just a very grey area. Also, are you aware of any funding available for windows? Many thanks in advance for any advice. Hi Leona, always happy to help with questions where we can! In terms of what you could qualify for, this can be tricky to say without a bit more information. As a private tenant, in a house, with children (assuming you receive Child Tax Credit or another qualifying benefit) there is a good chance you could qualify for some help in your area. I’d like to point you towards the EST/ Home Energy Scotland, as there may be options available that we can’t offer here at Boiler Grants. Sadly you are right and there are some untrustworthy landlords out there. As far as I know there isn’t really a time limit for a tenant to stay in the property after the work has been carried out, but again this is worth checking with the EST. In regards to contributions, some schemes like the ECO scheme may require a contribution (this tends to come with boiler grants though where extra work needs to be done i.e fitting pipes), but this is something you would be made aware of during a survey. We had a survey done and was told our boiler will be replaced with a Ideal Logistics boiler but not a combi boiler, which is what we wanted as this type of boiler works best for our families needs. Can we ask them to change it to a comb boiler or do you have to get what you are given? Also have seen a lot of bad reviews for this make of boiler so I am a bit concerned about this too. Hi Ian, I’m sorry to hear that you’re having problems with the scheme. Is this perhaps something you could discuss with the surveyor, to ensure they know your living situation and to check they have chosen the correct type of boiler? It may also be worth getting in touch with Ofgem to ask about this – there is an email address you could contact at the bottom of this page https://www.ofgem.gov.uk/environmental-programmes/eco/support-improving-your-home. Alternatively, the Energy Saving Advice Service may know more on this as they offer advice on the ECO scheme. They can be contacted on 0300 123 1234 (calls are charged at the standard national rates) or found online. I’m currently on job seekers and have been accepted for a survey as i meet all the criteria. However I maybe returning back to work before the survey date and am worried this will chat my eligibility. I talked to someone at npower and the person seemed a little unsure but as far as he was aware it just went of the date I called as they do a check with the government. ….do you know if this is correct or have any info ? The best place to get in touch with about this would be the Energy Saving Advice Service as they may be able to offer further advice on the ECO scheme. They can be contacted on 0300 123 1234 (calls are charged at the standard national rates) or found online. Hopefully this helps! Hopefully this helps, please don’t hesitate to get in touch with any further questions. Hello I am 63 and in receipt of personal independence payment, could I be eligible for a new boiler as ours has broken down (Worcester green star). The plumber who we called in said it would be nearly as expensive to repair it so why didn’t we get a new one. My husband is a pensioner, but not eligible for pension credits. Thank you. Thank you for your question. Unfortunately I don’t believe we will be able to help with your enquiry as we can’t process applications with personal independence payment as the qualifying benefit. My best advice would be to get in touch with the Energy Saving Advice Service as they may be able to offer further advice on both the ECO scheme and any other help available. They can be contacted on 0300 123 1234 (calls are charged at the standard national rates) or found online. Is ECO scheme also for boiler having Main gas as fuel?? Hi Ethan, the ECO scheme does include grants towards boilers that use mains gas as the fuel. Please be aware though that funding for gas boilers is currently very limited, so it may take a long time for these applications to be processed. We have qualified for a new boiler, when they came to fit it they had the wrong one, they had already removed ours so we had to go without until it came. They have left us now, a family with 2 young children in some of the worst weather we have had in years for over 2weeks with no boiler. We are getting into debt spending up to £15 per day on electricity to keep our kids warm, we have taken several unpaid days off work to wait in for them to come and finish the fitting and they never turn up. We are constantly fobbed off on the phone with people passing the blame on. Apparently they have already been paid for the job so I can’t see any motivation of them coming back. We have spent all our spare cash on electricity so have no money to get it done ourselves this month. We wish we had never applied for this and urge anyone thinking of applying to think it through because there’s nobody to talk to or complain to and we have ended up in a much worse situation. Hi Joanne, I’m so sorry to hear about the experience you’ve had with the ECO scheme. Can I please check, was it our website boilergrants.co.uk that you applied for the scheme through? Hi, my boiler is a worcester, and over 15 years old, we think its leaking as pressure keeps dropping, we receive working tax credit, do we qualify? Hi Angela, it’s difficult to say if you could qualify without a little more information. I would suggest filling out the form on our website, and if it looks like you could qualify one of our team will get in touch to walk you through the application. Hopefully this helps, please don’t hesitate to get in touch with any questions. I have a non functioning alpha he boiler fitted over 9 years ago. Is it still the case mat this boiler does not qualify under the scheme.? I meet the other qualifying criteria. I’m sorry to hear about your boiler. I’ve looked into this for you and unfortunately because it’s a condensing boiler which has a high efficiency you would not be able to receive a grant under the ECO scheme to replace it. The best advice I could offer is to get in touch with the Energy Saving Advice Service as they may be able to offer further advice. They can be contacted on 0300 123 1234 (calls are charged at the standard national rates) or found online. Having been a house builder for over fifty years , I would like to know if I may use my historically trusted and approved heating / plumbing contractors to carry out the work on my own property ? It would be preferable to change from oil to L.P.G. The oil boiler is old and will qualify for a large grant . Hi Phil, I would suggest getting in touch with this contractor directly as they should be able to tell you if they are able to carry out the work under this scheme. If not we can process your application and put you in touch with an installer who carries out boiler replacements under the ECO. I had a new boiler fitted under the scheme around 3 years ago in my last rented property but I have had to move to a cheaper property which has a very old boiler (something like my nan used to have) and the gas bill is astronomical. It has a gas safety certificate but the output is only around 60% effective. Would I be able to apply again under the scheme? Hi Michelle, yes providing your benefits, the boiler and the property meet the government’s criteria you should be able to apply for a grant again. The only thing I would say is that right now funding is quite limited for gas boilers under the scheme and can take longer than usual, but we will do our best to process your application as soon as we are able to if you are eligible. The best way to apply with us is to simply fill out the form on this website. Hopefully this helps, please don’t hesitate to let us know if you have any questions. Hello ,Can my landlord apply on my behalf , and if he has a few “propertys” sign up all the tennants and basically replace all the 25yr old oil and gas boilers free? Hi Michele, your landlord can’t apply for the grants himself but you can apply for the grant with his permission. We have a page with some information about this here: https://www.boilergrants.co.uk/landlords/ so hopefully that helps. In many cases the boilers would unfortunately not be completely free, but a grant would be provided to cover the majority of the cost of the new boiler & installation (however in some cases people do get 100% free boilers). It’s also worth noting that right now funding under the scheme is a little limited for gas boilers, so there may be a much longer waiting time, however we will try our best to process these applications as soon as we can (this does not affect oil boilers). Hopefully this helps – please don’t hesitate to get back in touch with any further questions you might have. Hi can you get a combi boiler on the scheme? I got a new boiler with the scheme all went smoothly it is now not working who do i get intouch with to get it fixed? Hi Kelly, I’m sorry to hear about your boiler. All boilers fitted under the ECO scheme should come with a warranty, so this might tell you the best place to contact regarding repairs. I had a boiler fitted in Nov 2015 and have started having problems with it (Feb 2018) and have been told I only had a two year warranty as it was fitted under the government scheme so check to ensure it is covered. Hi , I had to get a new boile in December 2016 and had to borrow the money off my brother in law as I was on a low income and in reject of tax credits , I still owe him the money and didn’t know there was help out there under this scheme . As I can prove I e been I. Receipt of benefits for over 10 years would I be able to try and get help with repaying my family ? Hi Tony, unfortunately I don’t believe you would be able to do this under the ECO scheme due to the way it works, as it is a grant towards a new boiler through an approved company, rather than money for the cost of a boiler. Hi Emma, I’m sorry to hear about your dad’s heating situation. Unfortunately I’m not too sure of the answer to this, so I would recommend getting in touch with the Energy Saving Advice Service as they offer information about ECO, and the other types of support available – so they may be able to tell you the best course of action. They can be contacted on 0300 123 1234 (calls are charged at the standard national rates) or found online. Hi Lynn, I’m very sorry to hear about your heating situation. It’s hard to tell if you would qualify without a little more information, however I can say that Child Tax Credit and Working Tax Credit are qualifying criteria under the government’s ECO scheme (providing your income is under a certain threshold). The best advice I could give would be to fill out the form on our website, this will tell you if you might qualify and if so one of our team will give you a call and help you through the process. It’s worth also noting that the scheme can take up to a few months to carry out once you are in touch with the installer. If you do apply through our website and it looks like you could qualify, if you send an eamil to us through the contact page on this website with the name and email address you use to apply I can let our team know to look at your enquiry ASAP which would hopefully speed things up at this beginning stage. I hope this helps, please don’t hesitate to get in touch with any questions. I applied for help with eco through my landlord (who have assigned eco scheme teams that work with them apparently) back in November, a guy came out made an assessment and said i could have storage heaters and room in roof insulation and asked me to fill and sign forms and and show him details of my working tax credit etc, since then i have heard nothing, I came off all benefits in-between Christmas and new year and i have put notice in on my flat and this has been acknowledged by the landlord (who was also my employer too at the time)and im due to hand the keys back on the 31st January, one of my ex colleges has just contacted me to say he is still going ahead with the scheme on the property under my name even though im not going to be living there, is this legal? will there be any come backs on me? Good afternoon, unfortunately I’m not really able to provide any information for you on this myself as I’m unsure of the exact answer, however I can point you in the direction of a couple of places that should be able to help. I suggest speaking to the Energy Saving Advice Service as they offer free and impartial information about access to the ECO, and the other types of support available – so they may be able to clarify this for you. They can be contacted on 0300 123 1234 (calls are charged at the standard national rates) or found online. Alternatively, Ofgem may be able to provide further information https://www.ofgem.gov.uk/environmental-programmes/eco/about-eco-scheme. I had boiler replacement done for my tennants. I checked with the company to make sure I would not have to pay anything if the tennants moved out. They told me it would benefit any future tennants if current ones moved out and I would not have to pay anything. Hi Jenny, I’m sorry to hear about your heating situation. Unfortunately the ECO scheme grants only cover some or all of cost of the installation of a new boiler and not the radiators. The installer would be able to replace pipe work and radiators at the same time but you would have to pay for them to do this. I would recommend getting in touch with Energy Saving Advice Service as they offer free and impartial information about access to the ECO, and the other types of support available – so they may have information on any other types of help that could be available to you. They can be contacted on 0300 123 1234 (calls are charged at the standard national rates) or found online. Hopefully this information helps, please don’t hesitate to get in touch with any further questions. Hiya I was just wondering if my landlady says no to changing the boiler am I able to go ahead and do it myself? my house is literally like a freezer my boiler is so old it just doesn’t keep the house warm anymore it’s costing me a fortune weekly just hear my house. Hi, are there any grants available for electric economy 7 hot water storage cylinders rather than boilers? Hi Sandra, I’ve looked into this and unfortunately we would not be able to help you with a grant for a water storage cylinder. I’m unsure if it is covered by the ECO scheme, so I would actually suggest getting in touch with the Energy Saving Advice Service as they should be able to give you a more definitive answer on this. They can be contacted on 0300 123 1234 (calls are charged at the standard national rates) or you can find them online. my father in law who lives with us due to his health & age (90) has guaranteed pension credit, the form asks if the person applying is a home owner or tenant, is he classed as a tenant without a tenancy agreement in place? He has lived with us for 6 or 7 years. Hello, I’ve looked into this for you and we can indeed accept applications like this as long as both you father in law’s benefits and the boiler qualify under the scheme’s criteria. If you fill in our online form (selecting ‘private tenant’ under the home status) and it looks like you may qualify one of our friendly team will give you a call and talk you through the rest of the process. It would be worth mentioning that he has no tenancy agreement over the phone as there may be some slightly different paperwork that needs to be given to the installer in cases like this (but our team will happily explain this further over the phone for you). Hopefully this helps! Please don’t hesitate to get in touch with any questions you may have. Can someone please advise me? I am aged sixty, unemployed being on Jobseekers’ Allowance (Income Based.) My daughter owns the house I live in, I have no tenancy agreement with her and I do not pay her any rent and she is not my landlord, if it was not for her kindness I would be homeless. My daughter lives in another property and not with me. My local council have deemed as the “person responsible” for paying council tax for the property which has been in my name for the past ten years. I pay all the utility bills for the property. Would I qualify for a free boiler? My current one was fitted in 2003. Hi Jules, thank you for your question. It would be tricky for us to say if you would qualify for the grant without a little more information. I recommend filling in the form on our website and if it looks like your boiler might qualify under the scheme, one our team will give you a call and will be able to advise you best in regards to how the application works with rental/ownership of properties. It’s also worth noting at this point that funding for gas boiler replacement is now very limited and may not be available for all new enquiries, so if you have a gas boiler our team may not contact you immediately. I have a service care agreement with British Gas. My boiler is 35 years old and was occasionally not firing so I called out B Gas about 3 months ago who said the part that is needed is no longer available & the energy rating is the lowest on the boiler. I’ve checked online and they’re right. It is starting to play up again & I’m worried that it’ll break down completely and I’ll have no heating. I am 64 and in receipt of guaranteed pension credit as well as my state pension. Will I be entitled to a new boiler free, as I am unable to pay anything towards one? Also, if someone comes out and says I’m eligible, what on earth will I do with no heating for the 2-3 months it takes to process the replacement boiler? I am not in good health either, so I’m really worried. Thank you in advance for any help. Hi Carrie, I’m sorry to hear about the problems you’re having with your boiler. It does sound like you might qualify for a grant based on what you’ve told us. Unfortunately I can’t guarantee that there would be no cost required however as depending on the work that needs to be done (to pipes etc.) there may be a cost involved – however the grant itself is completely free and you should be told about any costs before the work takes place. Based on the information you provided I would suggest a couple of actions; if you would like to apply for a grant please just fill in the form on our website (making sure to tell us about the problems you’ve been having with your boiler). I can also let our call team know to look out for your name and email address so they can prioritise your application due to your circumstances. In the meantime I would suggest getting in touch with both Age UK and the Energy Saving Advice Service as they offer free and impartial information about the types of support available for boilers and heating – so they may be able to advise you on the best options available in both the short and long term. They can be contacted on 0300 123 1234 (calls are charged at the standard national rates) or you can find them online. Hopefully this helps, please don’t hesitate to get back in touch with any questions you may have. Hi, many thanks for your reply. As I didn’t see your reply for a few weeks I ended up phoning Age UK and they pointed me towards npower, who took my details and are coming out to do a survey in a week’s time. However, I wish I had seen your reply as you said you would ask for me to be prioritised due to the circumstances 🙁 My boiler is getting more and more unreliable, how it’s going to keep going a few more weeks I don’t know. Many thanks again for your reply. This is really informative, although, I am private tenants and here for learning that how to apply for replacement Eco Boiler because, we have 6 years old boiler. Can I apply for a grant to install a new one. Could anyone can help me here. Hi Ashar, unfortunately we would not be able to help you with your application as we only accept applications for boilers that are 8+ years old. I would suggest getting in touch with the Energy Saving Advice Service as they may be able to advise you on any other options available. They can be contacted on 0300 123 1234 (calls are charged at the standard national rates) or you can find them online. Hi Marc, based on your boiler, benefits and income it sounds like you might qualify for a grant. Unfortunately I’m not too sure of the answer to your question, so my advice would be to fill out our website form (it should only take a couple of minutes) and one of our team will call you back and be able to go over your question with you. Hopefully this helps! I have read all the eligibility requirements; we have just brought a property with an E energy rating, the property only has 2 storage heaters and is freezing! We are in receipt of child tax credit, my income is below 16,000 but my income and my husbands income combined would be more than this so would that take us out of the eligibility criteria? Hope that makes sense! So i have just had an initial visit to advise i qualify for a new boiler but they will be in touch to discuss the contribution. What factors dictate what contribution is paid? Will this vary from provider to provider? Hi Basharit, my advice would be to take a look at the official FAQs pdf from Ofgem which does have a section titled ‘Will I have to pay to have an energy efficiency measure installed?’: https://www.ofgem.gov.uk/system/files/docs/2017/03/170314_domestic_faqs_eco2t_final_version.pdf Hopefully this helps! Our boiler has broken down, and we are advised that the cost of repair may be too expensive to be worthwhile. We are on a low income, and are in receipt of tax credits. I have checked with our energy supplier who states that although we meet the criteria for the boiler replacement grant by way of income etc. We are in fact not eligible to claim/receive the grant because our broken boiler (Ideal Icon) meets the energy efficient standards. Is this correct, that if you have a broken boiler that has a good energy rating, but cannot provide heat there is no eligibility? But if I was able to keep myself and family warm on a functioning boiler, but with a lower rating, I could get the grant! Therefore I may have to let my children be cold, as unfortunately I have a broken non functioning non repairable boiler. Whereas if I had a functioning albeit less efficient boiler I could both keep my family warm and possibly get a grant. It make no sense to me that a broken “A” or “B” rated boiler providing no heat is classed as energy efficient, as they are not functioning. I am currently having to run electric heaters in our home, which I am presuming is less efficient. Hi Ian, I’m sorry to hear about your heating situation. Yes, unfortunately under the government guidelines for the scheme the boiler needs to be below a certain efficiency rating. The best advice I could give would be to contact the Energy Saving Advice Service as they offer free and impartial information about access to the ECO, and the other types of support available – so they may be able to advise you if there are any alternative options out there. They can be contacted on 0300 123 1234 (calls are charged at the standard national rates) or found online. Hi Todd, unfortunately I’m not really sure how to advise you based on this initial comment. Could you please provide a little more detail either here, or by filling in our contact form, and we will get back in touch with advice if we are able to. Hi, We have a boiler that the heating works off – we also have a copper immersion heater which leaks the boiler warms the water in the tank not quite sure how it does it but it does – there is a cold water tank in the loft . Hi Jackie, it’s hard to say if you would qualify under the new criteria without a little more information. There is a full list of the qualifying factors here https://www.boilergrants.co.uk/criteria/ but my best advice would be to fill in the form on our website as it only takes a few minutes and will let you know instantly if you don’t qualify or if it looks like you could. It is worth noting that at the moment funding for gas is very limited, so we may not be able to help with enquiries for gas boiler grants at this point. Hopefully this helps, please let me know if you have any questions. Hi Ismail, the final choice of boiler would be made by the supplier completing the installation so unfortunately no I don’t believe you would be able to choose which boiler you have installed. Hi, I am receiving spousal maintenance of £750 per month, therefore £9,000 per year which is my total income – no mortgage on the property – and had to have someone out yesterday as my 34 year old boiler sometimes doesn’t work & doesn’t always provide hot water/heating. I was told the part needed is now not available due to the age of the boiler. Would I be eligible for a new boiler due to my low income please? Hi Carrie, I’m sorry to hear about your boiler situation. It’s hard to tell if you would qualify without a little more information, so I would recommend taking a look at this page as it lists the benefits that allow you to qualify for the scheme: https://www.boilergrants.co.uk/criteria/ and if you do think you could qualify, if you fill in the form on our website one of our team will give you a call and talk you through the scheme. Hopefully this helps, please don’t hesitate to get in touch with any other questions. Why can we not have a new boiler just because we live in a flat? At 93 years of age my Mum cannot keep re-igniting the pilot light or, for that matter, re-pressure the boiler. Hi Maggie, I’m sorry to hear about your Mum’s boiler situation. Whilst we can’t help with applications for flats there may be other options available so I would recommend getting in touch with the Energy Saving Advice Service as they offer free and impartial information about the types of support available for boilers and heating – so they may be able to advise you on the best options available. They can be contacted on 0300 123 1234 (calls are charged at the standard national rates) or you can find them online. can I get a grant for a new boiler, my old boiler is solid fuel. I am now 70 and struggling to carry the fuel to the room heater in the front room of the house. Thank you for your message. Unfortunately we can only help homeowners who have gas, electric, LPG or oil as their current fuel type so we would not be able to help you apply in this instance. I would recommended getting in touch with the Energy Saving Advice Service as they offer free and impartial information about the types of support available for boilers and heating – so they may be able to advise you on the best options available. They can be contacted on 0300 123 1234 (calls are charged at the standard national rates) or you can find them online. Hi we received a Worcester boiler for free through the government scheme. There’s something wrong as the pressure keeps dropping every 2 weeks or so. If we call out someone from the company who installed it do we have to pay for that service? Hi Omair, I’m sorry to hear about your boiler troubles. For a question like this I would recommend getting in touch with the Energy Saving Advice Service on 0300 123 1234 (calls are charged at the standard national rates, alternatively you can find them online) and they should be able to provide you with more advice. I have applied using the form online, then came to read some of the comments here. My boiler wasn’t listed and was fitted over 10 years ago as part of a scheme back then. It is an Ideal Isar and is definitely on it’s last legs. Is this boiler still covered by this scheme to be replaced? Hi Lisa, thanks for your question. It’s hard to say if your boiler would qualify without a little more information. It’s also worth noting that currently we are not able to help with gas boiler grants due to the scheme having limited funding. If your boiler is electric, oil or LPG however one of our team will get in touch about your application and they will be able to confirm if your boiler is eligible under the scheme. Hi Samantha, I’m sorry to hear that you’re having trouble with the new boiler. I would recommend getting in touch with the installer/ company that fitted the boiler for her directly as they may be able to help. It may also be worth contacting the manufacturer of the boiler, as they may also have some advice for that boiler model. I have a flat with no heating, just a plug in oil radiator, there is no gas in the property. Only electric, I believe at one time it had storage heaters. Would the property be eligible? Hi Heather, the ECO scheme does now offer grants for replacement electric storage heaters, and you can find more information about this here: https://www.boilergrants.co.uk/electric-storage-heater-grants/. In regards to your question it’s difficult to say if yourself and the property might be eligible or not without more information. so I would suggest filling in our form, and if it looks like you might be eligible from that one of our team will give you a call and provide more information. I qualify for a boiler grant, but I am not with any of the big six providers. If I switch to one will they supply me with a new boiler as a new customer, or do I have to have been with them for some time? Hi Jud, with the ECO scheme you don’t need to be with one of the big six to receive a grant towards a new boiler. Unfortunately I’m unsure how the scheme would work in regards to switching to a new supplier so I would suggest getting in touch with those companies themselves for more information. You could apply through this website, as we talk customers through the grant application process and if your application is successful we can put you in touch with a gas safe engineer to carry out the replacement. It’s worth noting at the moment though that funding is extremely limited for gas boilers (although there is still funding for LPG and Oil boilers), so we would not be able to process your application at this point if it was for a gas boiler. Can you please tell me what make and model boilers are being supplied under this scheme? My boiler has broken,my engineer tells me the parts he needs are obsolete,I am 79years old and have no hot water or central heating,can you help me ? Hi Margaret, I’m very sorry to hear about your boiler situation. At the moment due to limited funding for the scheme we would not be able to put you in touch with an installer under the ECO (boiler grant) scheme at this time, so i would not want to recommend you applying through Boiler Grants at this time. 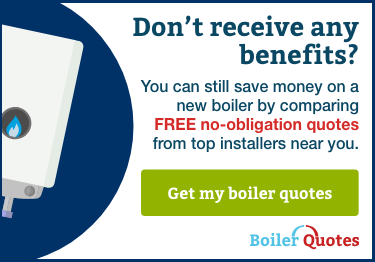 For this reason I would suggest that if you were looking to replace your boiler and pay in full, we do have a service called Boiler Guide where we can find local installers to provide quotes to you for a new boiler (https://www.boilerguide.co.uk/quote). If you did want to take that route, you can choose ‘ASAP (I may have no heating or hot water)’ under the Work Timescale section of the form we will prioritise your enquiry. If paying in full for a new boiler is not an option you want to look at, I would suggest getting in touch with the Energy Saving Advice Service on 0300 123 1234 (calls are charged at the standard national rates, alternatively you can find them online) as they would be able to advise you on any alternative options available at this time. I have a Vaillant Turbomax 282 which is now some 22-24 years old (moved into the house last year and it was already installed). The surveyor recommended we upgrade ASAP although it is functional, but we can’t afford to and I am worried it will go at any minute (every now and again we have to turn it off and on again to get the hot water working). I have a son who claims disability allowance and my wife gets carers allowance to look after him. I have tried a couple of boiler grant places but it seems I can’t get any assistance. Are you able to offer any advice? Hi Mark, I’m sorry to hear about your boiler situation. The criteria for being eligible for a boiler grant under the ECO scheme has recently changed, so it may be worth looking into the scheme again to see if you could now qualify – one thing to consider however (and this could also be a reason why you may not have been able to get assistance) is that funding is very limited for gas boiler replacements right now. The best advice I could offer is to get in touch with the Energy Saving Advice Service on 0300 123 1234 (calls are charged at the standard national rates, alternatively you can find them online) as they would be able to advise you on any alternative options available. Desperate for advice. My mother has had a boiler installed a couple of months ago under one of the government funded schemes. It has broken down to cut a long story short, we got someone from the gas safety register to look at it who said it was installed incorrectly. They can take sanctions against the fitter in terms of his regulation, but my mother is now left with a boiler that doesn’t work, placing her in a far worse situation than she was before. The installer wont return calls and to be honest if he couldn’t fit it correctly in the first place I have little faith that he could repair it. The person from the gas safety register said that it would be very expensive to correct the issues that the installer has left. What do I do?? Absolutely desperate for help, my mother is 75 and she lives on her own as my dad has recently had to go into a care home. Hi just to further comment we didn’t deal with your company, I wish she had, it was somewhere called renew eneterprises. Thankyou for contacting me Rebecca with your advice. 12 years later it takes over a minute to get warm water down stairs and if you want a hot bath it takes an hour to fill it, because the water has to trickle in otherwise its too cold..
We get income support and have a daughter living at home for who we claim full disability .. its fine now but very cold in winter, to the point of we had a decorative wood burner in the living room, which we have had connected up for warmth..
Hi Carl, I’m sorry to hear about the situation with your boiler. I’ve been looking into this and with your particular boiler model unfortunately it sounds like it may not be eligible under the governments ECO scheme. I would suggest getting in touch with the Energy Saving Advice Service on 0300 123 1234 (calls are charged at the standard national rates, alternatively you can find them online) as they would be able to advise you on any alternative options. Hi Maria, thanks for your comment. You must be living in the property throughout the entire process in order to receive the grant. Unfortunately I don’t have any more specific information on this, so I would recommend getting in touch with the Energy Saving Advice Service as they offer free and impartial information about access to the ECO so they may be able to advise you better. They can be contacted on 0300 123 1234 (calls are charged at the standard national rates). Hi Lisa, unfortunately I can’t give you a definite answer on this question so I’d recommend phoning or emailing the Energy Saving Advice Service as they offer free and impartial information about access to the ECO so they may be able to advise you better. They can be contacted on 0300 123 1234 (calls are charged at the standard national rates). Hi Steve, the tenant that applies must be living in the property throughout the entire process in order to receive the grant, however unfortunately I don’t have further information on if you would be liable to pay for the cost of the installation that isn’t covered by the free grant if they do leave. I would recommend getting in touch with the Energy Saving Advice Service as they offer free and impartial information about access to the ECO so they may be able to advise you better. They can be contacted on 0300 123 1234 (calls are charged at the standard national rates). Hi I have mobed into a private rented accommodation, it currently has a hot air system. My boiler is prehistoric, I am a full time student in receipt of child tax credits. Would I be eligible? Hi Francessca, thanks for getting in touch. It’s hard to tell if you would be eligible without a little more information, so I would recommend filling out our online form to find out, and if it does look like you’re eligible we will get in touch and talk you through the next steps. You would also need to get in touch with the landlord you rent the property from as tenants living in privately rented accommodation must have their landlord’s permission to go ahead with the boiler grant process. Hopefully this helps, please don’t hesitate to contact us with any other questions. Yeah had mine fitted earlier this year 100% free and I don’t know how I ever coped without hot water and heating on tap! My sister already has a valiant boiler 3 years ago under the scheme, it has now packed up and needs repairing. A plumber was called and he came in charged £170 for cleaning etc, and has stated the boiler will cost £500 to fix, a total in all £670. Of course my sister is not in a position to pay, she is a disabled pensioner, please advise or provide us with a contact no to help please. At the moment she has no heating and no hot water etc. The boiler was put in under government scheme. Hi, my father is currently living with me due to his poor health, he is in heart failure and cannot look after himself. Not sure if he will ever be fit enough to move back into his property. He has his own property and i have mine. My boiler is not working, have hot water but no central heating. Am i eligible for a grant?please advise. Hi Liza, thanks for getting in touch. Whilst your father does receive some of the qualifying benefits, I am unsure if property ownership may affect your application. I’d recommend phoning or emailing the Energy Saving Advice Service as they offer free and impartial information about access to the ECO so they may be able to advise you better. They can be contacted on 0300 123 1234 (calls are charged at the standard national rates). Hi Helen, thanks for your question. Although I can’t answer your question for certain myself, if you or your tenant gets in touch with the Energy Saving Advice Service on 0300 123 1234 (calls are charged at the standard national rates) they should be able to give you a definite answer. Hie my income is under 16k and I recieve child tax credits mum passed away and I live in her house now paying the mortgage the boiler is condemned I have no heating only hot water. Am I eligible for a new boiler? Hi Ash, from what you’ve said it sounds like you might qualify for a grant providing your boiler is suitable under the scheme’s guidelines. The best way to find out is to fill in our application form on this website, if you fit the government’s criteria in that form, one of our team here will give you a call and talk you through the details of the process. Hopefully this helps, please don’t hesitate to get back in touch with any questions. Although I am on carers allowance and my wife gets ESA support group (based on contributions) and Disability Living Allowance we cant get any contribution towards a boiler. When I was made redundant We know cant get credit – we have Just over £200 in savings – what do we do know. Boiler is 12 years old and leaking and keeps need to be repressurised. What do we do now? Hi Robert, I’m sorry to hear that you haven’t been able to get a grant under this scheme. The best advice I can offer is to get in touch with your local council/ authorities, and the Energy Saving Advice Service on 0300 123 1234 (calls are charged at the standard national rates) to find out if there may be any alternatives available to you. Hi Sharon, unfortunately he will not be able to apply using the Boiler Grants website if he currently has no boiler. There may be other grants and schemes to help households get connected to the grid in his local area however so it is worth looking around for these online or getting in touch with the local council/ authorities. I owned a house in staten Island N.Y, My income under 40,00 year My boils is more than 40 years old and stop woking, can I get a govenment debate boiler? Hi Foyer, unfortunately the ECO scheme is only run in the UK so you would not be able to get a grant. I would recommend looking online or getting in touch with your local authority for any schemes that are run in N.Y. I have a question with regards to the existing boiler. My boiler is 7 years old and B rated. I am the home owner, earn less than £160000 and on working tax credit. Would I still be eligible ? Hi Brigitte, I can certainly look into this for you. Would you please be able to provide your boiler make and model, and we can then check if your boiler would be eligible under the scheme. Hi Suzan, Unfortunately council properties are not covered under the ECO scheme at this time, but it may bey worth getting in touch with your local council to find out if there are any alternative options available to you. hello my volier has been playing up for a yr now and not heating the whole house plus the water is not always to hot even on the hottest setting. we are on tax credits of £16050 per year. I’m disabled and my son is also would we qualify? Hi Davina, unfortunately it sounds as though you might not be eligible for a grant under this scheme because of your income amount, as currently the threshold for total household income is £16,010 or less. 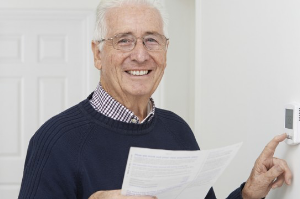 I would definitely recommend getting in touch with the Energy Saving Advice Service on 0300 123 1234 (calls are charged at the standard national rates) as they will be able to give you a certain answer on this, and hopefully provide any alternative options if you are not eligible under this particular scheme. I receive an income of under 9k from a rental property. My father has just moved into my home with me, he is a pensioner aged 84 and will now contribute to bills. My boiler is very noisy and temperamental and keeps breaking down. I am not employed at the moment and am not on any benefits but wonder if I would be entitled to some reduction for a replacement as my income is so low? Hi Claire, thanks for your question. Unfortunately it sounds as though you might not be eligible for the ECO scheme as you need to be in receipt of certain benefits to qualify for a grant. It may be worth getting in touch with your local council or the Energy Saving Advice Service to find out if they may be any other options open to you. Hello, if a tenant has a boiler fitted through a full grant, then that tenant moves out only a few months later, is either the landlord liable to pay for the boiler now the tanant no longer lives there? Hi Mary, the tenant that applies must be living in the property throughout the entire process in order to receive the grant, however outside of the process being finished there does not seem to be a set amount of time that a tenant must stay in the property. If you get in touch with the Energy Saving Advice Service they can offer free and impartial information about access to the ECO – so they may be able to give you a definite answer to your question. They can be contacted on 0300 123 1234 (calls are charged at the standard national rates). Rules have been tightened and you can apply for another boiler but not till until after 5 years now. So in other words you won’t generally get one. If properties are on short term rental agreements boilers will no longer be fitted. Quite fair really, as there is limited funds and so you can’t really expect to get another “free” boiler because you have moved. This would also help make landlords save a fortune, and not fit any central heating or new boilers to get them fitted free, not the object of the scheme. Please can you advice me. My husband and myself have just seperated and I have moved into the flat above my shop. I own the building but it does not have a gas connection. My sole income is less than £9000 per year. I have been told that a gas connection would be simple. The shop its self is heated by 3 old storage heaters that barely take away the deep freeze of winter. However the flat upstairs has no heating or hot water what so ever. I’m financially in dire straights and am worried about facing winter in an unheated building. My family and friends all live over 100 miles away so I’m completely alone. Please can I get some positive news that maybe able to help me. Hi Lisa, I’m sorry to hear about your heating situation, whilst you can’t apply for a gas connection through Boiler Grants, it is possible to get a discounted or even free connection elsewhere. This often depends on where you are located as well as your personal circumstances – so it might be worth getting in touch with your local council to see if they can offer further advice. There are schemes such as this one with National Grid (http://www2.nationalgrid.com/UK/Services/Gas-distribution-connections/Free-Gas-Connection/) that can help, so it is worth looking around online to see what is available in your area. I am qualified to a new boiler and the surveyors have already come. Now they just asked me if I want to go ahead. Now my question is what model and brand of the new boiler they (British Gas) will give to me. Is it a high quality reliable, long lasting one? Many Thanks. Hi Jane, thank you for your question. Whilst we don’t know which model or brand British Gas will fit specifically (this may be a good question to ask them directly) we can say that all boilers fitted under the ECO scheme will be energy efficient modern condensing boilers. We actually have an article about this on our website if you would like any further information https://www.boilergrants.co.uk/boiler-makes if you would like more information. My boiler has just stopped working. I would like to apply for the boiler scheme. My income (before tax) is 19k. My wife does not work. We have a 2 year old and in receipt of Child tax credit. Would I qualify for the grant for a new boiler? Hi, thanks for your question. Unfortunately it sounds like you would not qualify for a Boiler Grant under the ECO scheme due to your income being over £16,010. I have a question. 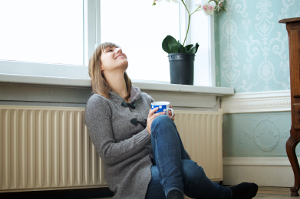 I used to have my own house, when I split up up from my husband I was then receiving certain benefits that meant I had a new boiler fitted as a part of the scheme. 3 years on I am in privately rented accommodation and the boiler is 20 years old. Can I claim again as I still meet the criteria? Hopefully this helps, please just let us know if you have any other questions. Hi, my daughter and son in law own their home, but due to struggling financially a few years ago they are now in a debt recovery plan so are unable to get finance, is there anyway or anywhere they can get a new boiler there’s has been broken for three weeks . They were having a new bathroom put in at the time so all water upstairs was turned off now nothing can be connected so they can’t wash upstairs and have no hot water and have spent all their savings on the bathroom. They also have an 8yr old son. I would be very grateful for any information or advise or suggestions of where we should try. Thankyou . Hi Dot, the ECO grant qualifying criteria is based on the receipt of certain benefits so my advice would be to check through these to see if your daughter and son in law might be eligible for this specific scheme (you can find a full list here https://www.boilergrants.co.uk/criteria/). If they are, I would recommend filling out the form on our website and if they might qualify one of our team will get in touch. If they are unable to apply for the ECO scheme, it may be worth getting in touch with the Energy Saving Trust or your local council to see if they can advise you on any other options available. Would I be eligible to apply. My current income is less that £1000 per month and we have just brought a house that doesn’t have a boiler at all! Are we eligible to apply? Hi Mick, unfortunately we are only able to accept applications for properties which already have a boiler that needs replacing. It may be worth contacting the Energy Saving Trust or your local council to find out if there are any alternative schemes that you could benefit from. Hi Emma, based on what you have said it sounds like you receive the qualifying benefits under the scheme. It also sounds like your boiler is run on LPG, which we are now accepting applications for, so my advice would be to apply using the online form (you can find it here https://www.boilergrants.co.uk). This will tell you instantly if you might qualify for the grant or not, and if you do one of out team will get in touch to take the next steps. Hopefully this helps, please don’t hesitate to let us know if you have any other questions. Hi I am eligible for new boiler and live in private rent. The landlord is looking to sell. If I get a boiler is there a length of time I can stay at property. Unfortunately there is nothing in place to say how long a tenant must stay in a property after the new boiler is installed. You would however need to be living in the property throughout the entire process in order to receive the free grant. Hi Sharon, unfortunately we can only help you to apply for a new boiler through Boiler Grants. I would however recommend getting in touch with the Energy Saving Advice Service on 0300 123 1234 (calls are charged at the standard national rates) to see if they can offer you any advice for your situation. I’ve been told that the funding is about to come to an end for the free boilers. Apparently npower and Sse are pulling the funding. Is this correct?? Will I have enough time to get a free boiler?? Funding for Boiler Grants is not ending yet so you still have plenty of time to get a grant towards a new boiler. The scheme will remain as it currently is until March 2017, so it is worth applying soon if you are considering it. One thing to note is that the scheme has changed since it began and in some cases people are required to make a financial contribution towards their new boiler. Hopefully this helps, please don’t hesitate to get in touch again if you have any questions. Hi Merisa, thanks for getting in touch. In order to get a grant under the ECO scheme you would need to meet some criteria, including having an income below a certain threshold and being in receipt of certain benefits. I’ll point you towards a page where we’ve explained these criteria https://www.boilergrants.co.uk/criteria/ , and if you think you may be eligible you can apply using our online form and one of our team will give you a call if you may qualify. Hi, i am a private tenant claiming benefits and am eligible for a boiler grant. My question is, if we move out after a few months into a property that also needs a new boiler, can we claim again?? And will it all be free? Yes, if you move into a property with a boiler that qualifies (and you yourself are still eligible) then you should be able to get a boiler grant again even if you have had one at a previous property. In regards to cost, the boiler may not be free as in some cases a contribution is required, the grant towards the boiler itself is however free and will not need to be paid back. Hopefully this helps, please don’t hesitate to get in touch again if you have any questions. I am eligible for new boiler and live in private rent. The landlord is looking to sell. If I get a boiler is there a length of time I can stay at property. Hi David, the tenant that applies for a boiler grant must be living in the property throughout the entire process in order to receive it, however beyond this we are unfortunately unaware of any guidelines surrounding the length of time the tenant can remain in the property. We would recommend getting in touch with and organisation like the Energy Saving Trust who may be able to provide you with more information on this. Hi we live with my mother in law and the boiler was condemned last week, she’s not on pension credit but we claim child tax credit, we don’t pay her rent as such, we pay for all the food and household stuff and also bought the washing machine etc and we pay for the maintenance of the property as and when needed, then we contribute money to her as and when she needs it. There’s no mortgage on the property. Do we qualify for a boiler grant ? Income is less than 16K. Based on the information that you receive Child Tax Credit and have an income under 16k it sounds like you could possibly be eligible, however this does depend on a number of other factors including if you consider yourself the homeowner. It’s hard to say for certain without the full details, so I would recommend filling in our form (there’s one at the top of this page) and from there if it looks like you’re eligible one of the team here will give you a call to go over the details (or the form will let you know if you are unfortunately not eligible). I hope this helps, please don’t hesitate to get in touch with any further questions. We applied for the scheme about 3 weeks ago, I thought it would be some sort of scam and the boiler would be cheap, I was very sceptical. There were a few surveys, lots of questions and I had to show the qualifying benefit papers and proof of home ownership a few times.. Installation was arranged for about 5 days after the surveys and proof we qualified…NPOWER were funding ours. The pump finally failed on the 21 year old system a few days before the installers were due to come out. I let them know, they checked to see if we would have to make a contribution…luckily it all fell within the cost….so no contribution required. They replaced the boiler (with a Baxi Eco Advanced 25) and nice Grundfos pump, I purchased a new 3 way valve and asked the plumber to fit and for a small (and fair) charge he did. The boiler was worth around £980 with the flue and the pump was high quality, not a cheapie. The plumber installed and commissioned for water+heat, the next day an electrician came to sort the 3 way valve wiring and make good the electrics. After the weekend the builder arrived to make good the brickwork and interior after the boiler install. All 3 were knowledgeable and professional. I couldn’t be more happy with the scheme, quality of boiler etc.. and the work performed. I am the landlord of a flat above a cafe with a tennant on benifits .Can the tennant claim a new boiler.the existing boiler is ten years old. If they are on benefits, then they might be able to qualify. Has anyone who has been accepted and paid for a new boiler as part of the British Gas Board scheme had problems getting a fitting date ? why do they take the job on ..take the money then expect people to be happy with the same response when we phone..”we dont have a fitting team in your area but we will chase this up and ring you asa we have an answer” how many weeks do we wait to be told same thing again and again !!! Posting for my parents who are both over the age of 65. My parents boiler has broken, they have been told it’s not repairable so must buy a new one, the problem they are having is they are only in receipt of state pension nothing else. They own their own home too. I’ve called around 20 different companies and they all say they have to be on some sort of benefit for them to qualify, surely there is some help out their for them considering their age and income?. I’m getting desperate now, can any one point me in the right direction please, any help would be appreciated. Can’t bare them both being sat in the cold. I am a carer with a disabled child. My husband and I earn less than 16,000 a year. We don’t have mains gas. Is there any way I can apply for a new oil boiler under this scheme? Would i be able to get a free boiler; central heating; cavity wall insulation and loft insulation if i dont have any of this in my house. Of course if your taking benefits. You might but the contribution that is going to be involved is going to be a lot. I applied for a free boiler grant from tempo energy in North wales . They have come back and said it wil cost £724. How does that sound to you ?. Its actually for my mother who is 81 ana a homeowner and is on pension credit and getting disability allowance. Is it worth shopping around ? What proof is required payslip or tax credits awards letter? My husband is on high disability and universal credit due to being diagnosed with terminal cancer would we qualify or not for the free boiler ?? Hi M Nicholson, thank you for your comment. There is funding still available under the scheme for replacing oil boilers, however it’s hard to say if you could qualify for a boiler grant without a little more detail. I would recommend filling in the form on this website, and one of our team will give you a call and go through this in more detail with you and let you know if you may be eligible. Hello. I think I am legible for this scheme. So what do the installers receive for a basic swap and what would I be likely to be ask for as a contribution. Thanks. Hello I am at my wits end with our combi boiler, me and my wife are homeowners who both work and have four children we don’t qualify for a new boiler and ours is not working right it’s 12 years old now and we can’t afford a new one just like that, now the temperature has dropped outside we have no way of heating, is there any other help or advice to get a new boiler we can’t live normally without heating we just don’t know what to do please can you advise us? Well I figured it was too good to be true and unfortunately I was right. but being on Pension Credit and disabled it seemed to be worth a try. I read all the details and filled in the form and I qualified, it said the boiler had to be 8 years old or broken and mine is just coming up to 8 years old and is definately broken ( no hot water) unfortunately it is an Alpha high efficiency condensing boiler so I don’t qualify because the schememe doesn’t cover replacing existing he boilers. Looks like I am stuck with a not very efficient he boiler then although I have to concede it doesn’use a lot of gas at the moment so I am doing my bit for the envionment. I have already used this scheme to get a new boiler in my last property but I have now moved but it has a old style boiler. Can I use the scheme again or is it a one time only thing? if a tenant has their boiler replaced under the grant scheme and they move to another property and that boiler is also old. can they apply again on their benefits? I’ve had a free boiler in my current rented place. I’m thinking of moving, I’ve seen a property that I like that has an old boiler.. would I be able to claim for another? I had the energy assessment done then after was told a contribution of 325 is needed for the work to go ahead, i don’t have the money i have the right benefits, a big company like the one i went to surly they could forget about the contribution and do the work the boiler doesn’t work now. no heat around the house. The boiler becomes the property of the owner if rented accommodation. You do not own the boiler and mustn’t remove it or any fittings as that is theft. Very useful read this, thanks. As a landlord, if my tenant is eligible, what are my responsilbilites and other than oking it what do I need to do? Particularly if he was to move out at any time? Having read the blog I now see the funding shortfall is common but I feel uneasy about paying upfront to Hellplink. They say the work would be done within five days but I just feel concerned. When I asked if we could pay and have the job done February, Helplink said the offer closes on 31.12.14. 15-31 December is neither a good time to fork out money or have work done. I note you said the offer finishes March2015. hi my mums boiler isn’t working and it hasn’t been working for a number of months. She has been told by lots of company’s her boiler dose not qualify it’s the wrong type of condenser. She is in receipt of the correct benifits. Is there anyone at all who may be able to help her? She has lots of serious illnesses and can’t afford to replace it. Surely someone can offer help??? Hi Kelli. It’s difficult to say, given that I don’t know anything about your mum’s boiler. It’s probably too efficient to qualify for an ECO boiler grant by the sounds of it. Boilers have to be non condensing or if they are condensing, achieve under 86% efficiency. Even if your mum is on the qualifying benefits, her existing boiler has to qualify too. I would suggest you or your mum visit our website https://www.boilergrants.co.uk/ and complete the online form. Once you’ve entered a few details you’ll find out if your mum is eligible for the scheme. If not, there are a couple of other options available to your mum. Have you heard of the Green Deal? It’s a Government scheme which helps people carry out home improvements to make their homes more energy efficient. Go to http://www.greendealguide.co.uk to read more about the scheme. If your mum doesn’t want to take out finance, she could apply for the Green Deal Home Improvement Fund, which provides cash back when you make certain improvements to your home, including installing a new energy efficient boiler. Details for phase 2 are to be confirmed this month, but under phase 1 you could get a minimum of £1,000 cash back installing a new boiler plus one other improvement. If you want more advice, I would suggest getting in touch with the Energy Saving Trust. They offer free impartial advice. Give them a call on 0300 123 1234. I hope that helps. Good luck. We qualify for a new boiler and have asked various companies to replace our old boiler but no one turns up! We live in London. Is there a shortfall here? Hi.The ECO boiler grants scheme has seen its funding cut. There is a shortage of installers due to these cuts and loss of funding. I believe London may have a shortfall. However my advice would be to visit our website https://www.boilergrants.co.uk and apply there. We’ll be able to tell you whether we have an installer in your area. We were told we could get a free boiler. we were given an installation date for 19th Sept. They did not turn up. we phoned Help Link and were told we now have to pay £686 before they will install. Hi Lillian. It’s not uncommon to be asked for a contribution towards a new boiler. The boiler grant scheme provides boiler grants but it’s rare now for 100% of the cost to be covered. The scheme has had its funding cut since it was first launched last year. The figure you quoted seems to be an average contribution we’re hearing applicants are now required to pay. I know it probably does seem a lot of money. However if you were to self-fund the installation of a replacement boiler it costs on average around £2,300. Obviously it depends on the work involved and the make/manufacturer of the boiler being fitted. Hi I live with my parents and they need a new boiler , I have two children and I am on child benefits, just wanted to know if I could get a boiler for them and will I get charged some kind of fee, and I am looking for a house so when I move will I be able to get a boiler again ? Is there a time limit until you can apply again? Or can you only apply once. Hi Mary, as long as the old boiler meets the qualifying criteria and you’re on the eligible benefits you would be able to apply for a boiler grant. You would be required to sign something like an unofficial tenancy form. If you move into another property, you can apply again, as long as the existing boiler meets the requirements of the scheme. The ECO boiler grants scheme was supposed to run until 2017. However the scheme has endured a lot of funding cuts this year and the number of people installing boilers under the scheme has reduced. Depending on the energy efficiency of the property, you may be required to make a contribution. My advice would be to visit https://www.boilergrants.co.uk and apply there. If you aren’t eligible, I would suggest your parents look into the Green Deal Home Improvement Fund. I hope that helps. I was told I qualify for the boiler scheme and had a surveyor/engineer come and visit me today. He said that because I had a 1986 four pipe gravity fed boiler and primatic tank that there would be extra costs of about £450 as they would have to repipe etc. He also said that they wouldn’t put me a combi boiler in and would only replace like for like albeit a modern version of what I already have as the scheme now stipulates this. Is this true that I could only have the same type of open flu gravity fed boiler with cistern tank as I was under the impression that they would replace with a combi? Hi Stephen. To the best of my knowledge under the ECO scheme old boilers are replaced with modern energy efficient condensing boilers and the preference is for a condensing combi. I’m not familiar with what would be a modern version of your existing boiler. In terms of the £450, it’s not unheard of for eligible applicants to be asked for a contribution, particularly if there’s a lot of work involved and extras are required, such as pipework in your case. It would always be worth getting another company out, just as you would if you were to get quotes for a self funded boiler installation. You could visit https://www.boilergrants.co.uk and apply there. For your information, due to the way the amount of money awarded for these installations is calculated, it may not be viable economically for the installer to carry out the work, even if you qualify. It’s very much down to the individual installer and their funding. Don’t be at all surprised about being asked for a contribution. Funding has been cut considerably this year. Sorry I can’t be of more help. Thanks Kate. I’m not to concerned about being asked to contribute because as you say the funding has been cut this year. My main concern is that I am being told that they could only replace my system with a condensing version of an open flu boiler and that would still rely on keeping the hot water tank. We mostly have showers and so were hoping to get rid of this type of system in favour of a condensing combi so that we only boil the water on-demand rather than wasting energy to heat a full tank of water. I had thought that the whole point of the scheme was to replace the very poor efficiency boilers that employ a hot water tank with combi type boilers but it’s seems I am mistaken and although I might save a little energy by having an updated boiler, it will just be a little instead of gaining a bigger saving and therefore helping me and our planet. I have been told that I could get a condenser combi fitted using the Green Deal Fund instead but that seems to be restricted to a very small number of installers and call me cynical but these installers seem to have increased their cost by nearly as much as the green deal fund gives in cash back so therefore it seems that the installers benefit but the customer does not for example similar companies who are not part of the Green Deal Fund are estimating around £1600 for a combi install yet the Green Deal Fund installers are estimating more in the region of £2500 so going of this it would seem that I would save about £200 and the installer would pocket the other £900 of the £1100 cash back. Sorry rant over. The boiler replacement scheme is supposed to replace old inefficient boilers with A rated energy saving condensing boilers. At least from what I understand. It’s been introduced to help people save money on their energy bills and energy companies also have targets imposed on them as part of the Energy Company Obligation to reduce carbon emissions. I was going to suggest the Green Deal Home Improvement Fund to you, which you’ve mentioned. It’s very early days for the scheme but a lot of installers we deal with seem keen to get on board. Unfortunately with these sorts of schemes there are always going to be companies who take advantage by bumping up the price. And they should be avoided like the plague. But I am hopeful they will be in the minority. On paper the latest cashback scheme is generous and it is a step in the right direction. Thanks for sharing your thoughts. Well I’m pleased to report that I have now found a company willing to install me a combi boiler under the ECO scheme. They seem very good and were very straight forward stating that it would be an extra £350 due to the upgrade and for the extra work involved in removing my old tank etc. I will report further once the installation has taken place with their name etc so that others in my area can also take advantage of one of the seemingly genuine companies. Hi Stephen. That’s good to hear. 100% grants are very few and far between and depend on the energy efficiency of your home, so £350 doesn’t sound bad – I’ve heard from people who have to contribute much more. Good luck with the installation. Hi Kelly. The boiler grants scheme has endured funding cuts this year. Although some people are still able to get a 100% grant and a boiler installed for free, at this stage of the scheme more and more people are required to make a contribution. What you pay will depend on how efficient your home is and how much work is required. Although a £450 contribution may sound a lot, I’ve come across people who pay more. 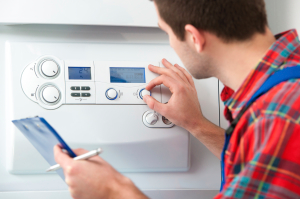 The average cost now of a straightforward boiler replacement is about £2,300. When did they tell you it would be free, before they came out or during the survey? You are entitled to see some paperwork of course. And you are right to be suspicious, or rather concerned, because unfortunately there are companies out there that will take advantage of these schemes. I would stress that these are few and far between. While you could of course apply with another company to see if you could get a larger grant, it’s a gamble. Hi Tahid. It’s very difficult me to give you advice, given I won’t have seen your property and how much work is required to install your new boiler. As it’s not a straightforward replacement, in so far as you’re having a new combi boiler fitted in a different location, so there’s more cost involved. Just as you would if you were getting quotes to 100% fund the installation of a new boiler, it’s always advisable to get two or three companies to quote. The boiler grants scheme is no different, unless of course it was 100% funded. I would see what SSE have to say, as you say they are coming out today. You could always postpone your other appointment rather than cancel it? I presume you haven’t handed over any cash yet? I would doubt SSE will do it for free, given that funding for the scheme has been cut, although I don’t know your circumstances, the efficiency of your home and boiler. So you might get it cheaper or it could even be more expensive. But if it was me I would always get another quote to compare. Hi, no you wouldn’t be able to apply for the scheme. You need to have an existing boiler that qualifies I’m afraid. We have been accepted for the grant, But I have asked if they can leave the old boiled with me (basically it is still in good working order, and I would like to sell it on). however they have said that they have to take the old boiler with them. Is this the case or do they just have the same idea as myself? Hi John. You are perfectly entitled to keep the boiler, it’s your property. Some people who have boiler replacements installed prefer to hold on to the old one, even if it’s just to sell the parts. The company installing the boiler should respect your decision, you are under no obligation to give it to them. I qualify under the child and working tax credits, and having a child just about to do A levels, plus my salary is quite low. I am living in my own house, however, is there a stipulation that if you move out in the future, you would have to pay back the money? Hello Sarah. I have not heard of any such stipulation. You could also apply for a boiler grant if/when you moved in to a new home. People have done this. However, in addition to benefits, your existing boiler also has to meet specific criteria too. Basically, the level of grant funding you qualify for will depend on how energy efficient your house and boiler is. My advice would be to visit our website https://www.boilergrants.co.uk and complete the short online form. We’ll then be able to qualify and process your enquiry. Hope that helps. Hi, my 83 year old mum had a home survey done today for the “free” boiler, but she has to pay £629 towards it! She only gets basic state pension. If we try a different company is it likely to be the same? Hi Lindy. There are still people who are managing to get boilers installed completely free. Although not many. Does your mum have an old back boiler currently? If she does, that’s about the average price for the amount of work involved. Many installers have had their funding cut, so they are having to ask for much larger contributions. However, if your mum doesn’t have a back boiler I would say 600 odd quid is rather a lot. If that’s the case, I would advise getting another installer out to survey and quote. Of course it means having another installer visit and another survey done. But surveys under the ECO Affordable Warmth Scheme are free, so it would be worth getting another quote to compare – just as you would if you were buying a new replacement boiler yourself. Feel free to visit our site https://www.boilergrants.co.uk and complete the short online form. Hope that helps! Hi, many thanks for that, no she does not have a back boiler, just a basic very old gas boiler. I will definately fill in your form for an alternative quote. Hi, best of luck. It will depend on the area where your mum lives, as to whether we have any installers who still have funding and are installing replacement boilers under ECO. But it would be worth trying at least. Let me know how you get on. If we can’t help, feel free to let me know via this blog and I can see if there’s anything else I might be able to suggest. Hopefully we can help though. Best of luck! We had a new boiler under this scheme last year as we are on pension credit. We may be moving house soon. Could we qualify for a new boiler in the new house. Hi Chrissie, there is nothing stopping you from applying for another boiler. However the boiler grants scheme has seen its funding cut this year, so it might not be as easy for you to secure a new boiler replacement. It’s certainly worth applying if you do move house. Nothing ventured nothing gained! No problem. Check out https://www.boilergrants.co.uk when you’re ready to apply for the scheme again. Hello, My mother who is nearly 70 applied for the free boiler under the boiler grant scheme. The company npower have sent contractors on two occassions in February 2014 to measure up and do paperwork. They have not got back in touch and she still does not know if she is eligible or if eligible there will be additional costs. Can you tell me how long this process usually takes we are in worcestershire. It’s hard to give you an answer to your question. It varies from company to company. Some people have been waiting for 6 months or more. As I’m sure you will be aware, the scheme has endured some funding cuts. Have you tried getting in touch with npower? You’re welcome to visit our website https://www.boilergrants.co.uk/ and submit your mum’s details there, should you continue to have no joy with npower. I’m afraid I can’t give you any up to date information about funding in your area Jade. I haven’t heard anything. Perhaps someone else will be able to shed some light on the situation in Wales for you. I’m Still Waiting For A Reply.It’s Nearly 6 Months Now.When I Go To The Site To Track My Progress It Says N/A. At Least They Could Contact Me To Let Me Know What Is Going On. Sorry to hear about the delay you’ve endured applying for the boiler grants scheme. Technically the scheme no longer offers 100% grants. Due to funding cuts the majority of eligible customers are now having to make a contribution. Who did you apply through? You’re welcome to visit our site ww.boilergrants.co.uk and apply. Got A Phone Call Today. Coming To Fit New Boiler In Monday 28th April Next Week. I Asked Them If Was Still All Free, They Replied Yes. Thanks Your Reply Also Kate. Hi Alan, glad to hear you have an appointment sorted now. Hope it all goes well. If you have the time it would be good to have your feedback about the scheme, once you’ve had the replacement boiler installed. British Gas Came To Fit The Boiler At 9.30am As Promised All Was Finished By 4 30pm. I Still Asked Them If It Was All Free. The Reply Was Still, Yes..
That’s great news Alan. In light of British Gas suspending applications to the scheme, it sounds like you’re one of the lucky ones. Thanks for the update! Today I Got A Bill For £49. 17p From British Gas For Materials. After Countless Times Asking If It Was All Free & The Reply Being Yes. Even The Fitter Who Installed The Boiler Said I Didn’t Have To Pay Nothing. Hi Alan, thanks for your comments. Did you get anything in writing to confirm that you wouldn’t have to pay anything towards your new boiler and that it was completely free? If you did, I would suggest taking the matter further, on principle if nothing else. After all, if you were told it was free I can see how annoying it would be to get a bill, however small. However, I do have to say, £49 is a very minimal contribution. I have come across people who have been asked for a lot more (we’re talking like £600). But at least you’ve now got your new boiler, which should help to bring down the cost of your energy bills. Hi, we have a 14+ year old lpg condensing boiler which has broken, If we met the criteria could this be replaced/. Some eligibility checkers online allow lpg replacement some don’t? Hi, the boiler grant scheme only targets gas replacement boilers, not LPG I’m afraid. Hi. I am posting this on behalf of my mum who is 84 years old and receives pension credits. She lives on her own. She applied for a boiler grant in December 2013 and was told that she qualified to have a new boiler fitted. She was visited by the designated contractor who surveyed the house and went away saying everything would be fine to go ahead but there would be an additional charge for some extra work. This was all agreed and the contractors arrived on the allotted day. They stayed for about an hour then left saying that they weren’t able to complete what they needed to do. She didn’t hear from the contractor then until we called them February. They said that they would re-visit and re-cost the job in hand. They re-visited and then had to be chased several times until today when they said the scheme had been pulled. We aren’t sure what to do now. My mum continually having people visit her house and having to hand over personal information makes her feel vulnerable and we need to resolve this swiftly and without further distress to her. Can you advise us of how to proceed? In truth her her boiler has been condemned and she shouldn’t be using it but she has no choice. I am sorry for the issues your mum has encountered trying to apply for the boiler grant scheme. The scheme hasn’t been pulled but funding has been cut. Most people will have to make a contribution towards their new boiler, as 100% grants are rare. That said we continue to help many happy customers benefit from a boiler grant towards a brand new boiler installation. I’ll try and help if I can. Perhaps it would be best if I dropped you a line directly by email. Hi Kate. Would really appreciate that. I have recently had a boiler fitted on the scheme but am moving to a new house where the boiler needs replacing! If i pay for a corgi registered guy can i take my boiler with me as long as everything is left safe and i have paperwork? Hi. No, you cannot take the boiler with you. What if someone does’nt have a boiler but is still on benifits can they still apply for the scheme. No. It’s a replacement boiler scheme. They take the old one out and replace it with a new energy efficient model. If you’re on benefits it might be worth getting in touch with the Energy Saving Trust. They offer free impartial advice and would be able to advise you if you were eligible for any other kind of heating grant. Call 0300 123 1234. Their helpline is open between 9am and 8pm during the week and between 10am and 2pm Saturdays. Hi. We applied for a free boiler grant and somebody got in touch with us. They came over to check the boiler and took the pictures of our papers to see if we qualify. Called us last week to say we do qualify but there is a shortfall of £280+VAT we will need to pay to have it done so we agreed for this week installation. However they called us back today to say that apparently the grant was pulled by 50% for everybody and now we will need to pay £600+VAT if we want it done. Sounds a little bit suspicious to me so not sure if it’s true or not…. Hi Irina. It is indeed true that funding has been cut to a degree and most people will now have to make a contribution towards the scheme. When the scheme was first introduced a year ago, 100% free grants were available. Grants are still available but it’s very unlikely that they will cover the full cost of the boiler and installation. That is why you have been asked to meet some of the costs. Thanks Kate,feel much better now. We’ve booked the installation for this week so looking forward to getting a new boiler which will hopefully reduce our energy bill a little bit. Hi Irina. It most definitely should reduce your bills, but by how much will depend on the efficiency of your existing boiler. I must add, there are some companies around that say they are still free and don’t ask for a contribution. But more and more people are being asked for a contribution. If the amount you have been asked for is too much in your opinion I would suggest applying elsewhere. Unless you have signed anything, just like you would any other boiler installation, you are entitled to search around for another quote. It could be less, it could be more. Yours is quite high, although I have heard of other people being asked for similar amounts. All the best. Hi Kate. So we had a new boiler fitted 2 weeks ago and everything is ok so far. However a friend of ours applied for a free boiler grant as well but through a different company. They’ve been quoted an additional contribution of just £280 and thats including boiler being moved downstairs and removing a chimney breast! Feel absolutely cheated now! I know in the end of the day its our fault for not shopping around but I just trusted them when they said that the grant was reduced for everybody and we won’t be able to get anything cheaper than that! Which is an absolute scam looking back now! Is there anything we can do now? Hi Irina, I’m afraid there’s nothing you can do. Contributions vary from installer to installer, depending on their funding. Your friend’s contribution is very minimal. That is why it’s best to shop around if you feel the contribution you’re being asked for is too much. Unfortunately the company who came out to you would say you wouldn’t be able to get it cheaper to secure your business. Another installer may have asked for less of a contribution, or even more. Sorry I can’t give you better news. On the positive side you now have a brand new energy efficient boiler which will help to lower your heating bills so you’ll save money that way. Many people don’t even qualify for the scheme in the first place. Hi , I applyed for a grant and qualified , took a few months to sort out , the measuring and all that stuff, than i had a phone call to say that i was not having a new boiler as its lpg. Tottaly frustrated, I told them on the first day that it was an lpg boiler and they could see from the tank at tha back what type of fuel i was on. Very dissapointed . Hi Vicky, sorry to hear that. The scheme only applies to gas boilers so I cannot understand why they even started to process your enquiry. I can totally understand your frustration and disappointment. The same thing happened to me except I had to make 19 telephone calls to A&M Energy Services to get to the bottom of it as their level of customer service is appalling! This is misappropriation of Funds in my opinion as the Company knew up front that we had no access to mains gas but went ahead with the Technical Assessment Eligibility Verification and EPC process knowing it is impossible to get an LPG Boiler because the Software is programmed to recommend only Storage Heaters if you are not on mains gas! Exactly the same with us. We have spent ages getting it organised since it was approved in december, so many different people to call and chase who did not call back then finally it was arranged and they wanted £500 which was not what was agreed in december but anyway we accepted it. we had some kitchen units moved, took time off on the alloted day last week, they arrived, started work and after an hour said ‘it’s LPG, we can’t do it’ I am disgusted it is so unprofessional. Personally I believed we had a contract and might consider suing them but guess what there is absolutely no paperwork. Its worse than dealing with dodgy traders, or perhaps they are? Hi there I enquired about the boiler scheme about 5 months ago and a company called ccs got I touch with me they came out to my house did energy measures where they took photos and took proof of my benefits and they even phoned me up and said I qualified and that they were gona come and fix the boiler on 9th December 2013 or 16th December 2013,I waited no one called me bk,I phoned them and they said they were bussy they even told me I had to pay as little as £280 for some additnal pipe work…I said that’s fine but no one has ever got I touch with me again…I phone them up and they keep taking my messages and no one gets bk to me… I so fraustrated and fed up Bcoz 2day my boiler has completely stopped working this is not fair Bcoz this company not once but twise came to my house and spent 1/2hrs doing pAperwork and taking photos of my personnel details and now no one has ever come to fit boiler…. What shall I do I am without hot water and heating and I’m a single parent and I have Disibilty aswel,I can not afford to get a new boiler when I am qualified for a free boiler..
Can someone please tell me wheat her in can get some compensation for my details taken of me and waisting my time where I could have gone to anther company and got a free boiler,why should I have to pay and I am also qualified for free… The only problem is I can’t wait so long as I have no hot water and heating and I have 2 young children and I have had a back operation and I need to be in a warm house to keep my back warm..
I’m sorry to hear about the issues you have been having with the boiler grants scheme. If you qualify for the scheme in some instances there may be additional costs, for example as you mentioned additional pipework. This is not unusual. However the actual boiler and the cost of installing the boiler is free. My advice would be to visit our website, https://www.boilergrants.co.uk as the article mentions, and fill out our online form. One of our customer service advisors will then give you a call to confirm your details. If we can help you we will. The scheme has proved very popular and this has caused some delay for some installers being able to carry out the work. The Government has since extended the scheme and energy companies now have until 2017 to complete their obligations.